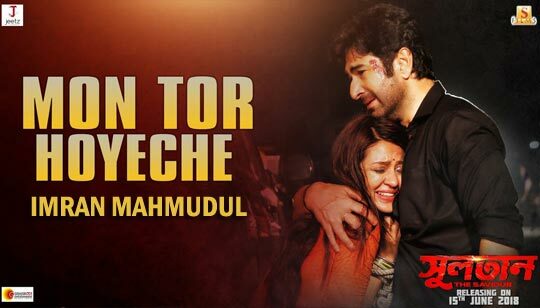 Mon Tor Hoyeche Lyrics from Sultan The Saviour The Song is sung by Imran Mahmudul Starring: Jeet and Priyanka Sarkar Music composed by Suddho Roy and Mon Tor Hoyeche Ki Bol Na Song Lyrics written by Raja Chanda. Produced by: Surinder Films & Jeetz Filmworks Pvt. Ltd.
মন তোর হয়েছে কি বল না ?